Aphids. Job searching. Plant morphology exams. Rain. For all life’s minor trials and tribulations, there is but one foodie equivalent to the bubble bath: Chai. Chai latte, to be precise. 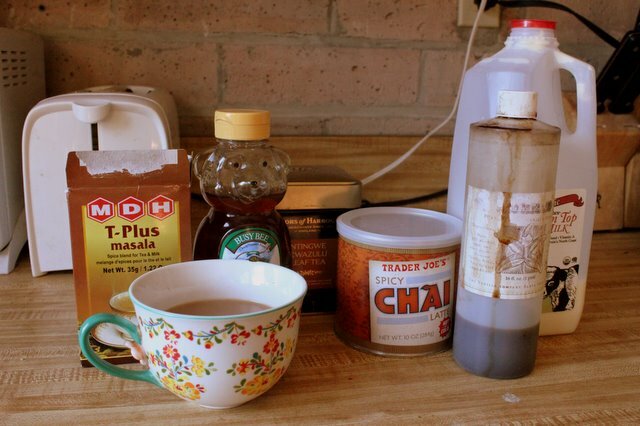 My chronology of chai began with Starbucks (ubiquitous purveyor of fancy drinks), and it was a “tall soy chai, no water, in a personal cup” that my mother asked for every Saturday morning as we began our weekly round of shopping. I joined her (with my own personal travel mug) all through high school, but like all who begin their specialty journey with Starbucks it wasn’t long before I was going more gourmet. Soon my sister and I had discovered the Garden Market, which featured a steaming mug of sugary chai with creamy, frothy foam. That chai (and several others along the way) led me to an important discovery: my favorite drink did not begin, as you might imagine, with tea. Sad to say, I was a die-hard fan of chai powder. One of the benefits of chai powder (other than an insane sugar rush) is that it makes the chai latte as easy as boiling a pot of water. 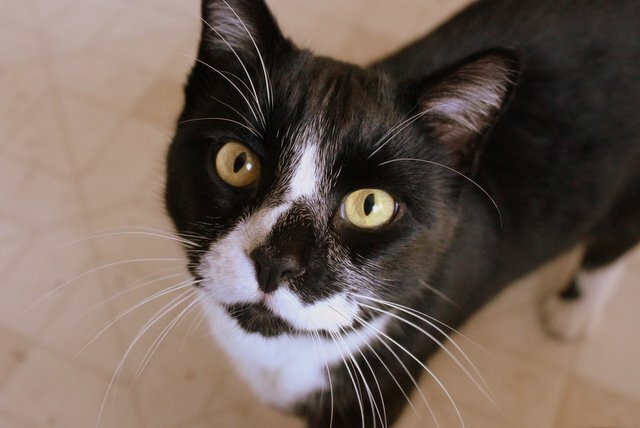 As a college freshman I drank chai lattes in bed, in class, as late-night snacks and morning pick-me-ups. I drank them so often, in fact, that my desire for chai began to wane. 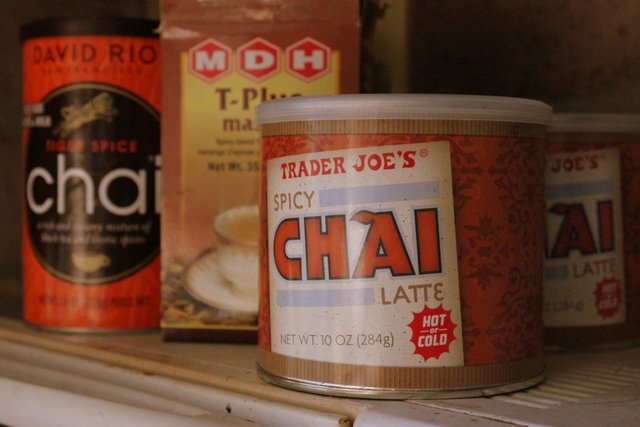 Years passed with only the occasional Starbucks visit when I went home, and then, when powdered chai was all but forgotten, I passed a display of chai latte powder in Trader Joe’s last week. It was a spur of the moment purchase with consequences that shook our small apprentice world. The initial can of powder was gone in two days, and the following two we bought followed shortly after. When Pim gave me a box of Chai spices after a macaron class I began doctoring my insta-latte, and soon I was adding milk, vanilla extract, honey… and somewhere along the way I made it back to tea. Now I sprinkle just a light dusting of powder in my chai, and if nothing else it offsets the 5 tablespoons Phillip and Sara Lieber put in theirs. Brew your black tea in a teapot or mug until strong. Remove teabag or leaves and add milk, chai spice blend, vanilla extract and honey for desired sweetness. Sprinkle chai latte powder on top, stir or froth, and enjoy!